Fifth-graders Tori Derritt, left, and Aspeyn Stallard, right, practice their rendition of Carly Rae Jepsen’s “Call Me Maybe.” The pair plus two other singers will perform at Tuesday’s final rehearsal for the Salida Middle School talent show set for 5:30 p.m. Thursday at Salida High School auditorium. 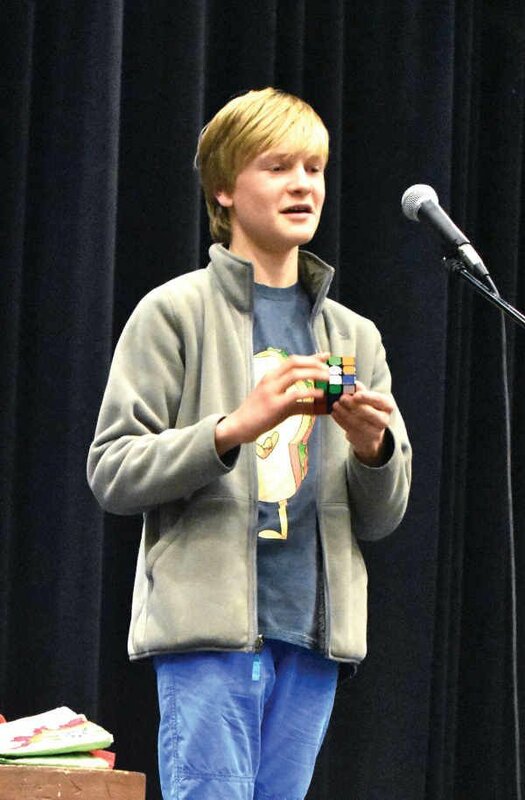 Rubik’s Cube magician Jasper Coen, a Salida Montessori Charter School seventh-grader, performs a trick while rehearsing for the Salida Middle School talent show. Coen and fellow middle school students from Salida’s three middle schools will perform a variety of acts starting at 5:30 p.m. Thursday at Salida High School auditorium. Wyatt Farney, left, and Reese Daugherty, right, perfect their comedy routine Tuesday for the Salida Middle School talent show. The show, featuring music, comedy magic and dance acts will begin at 5:30 p.m. Thursday at Salida High School auditorium. Left, Dancing to “Me Too” by Megan Trainor, The Crest Academy fifth-graders Lucy Hughes and Olivia Guymon strike a pose. 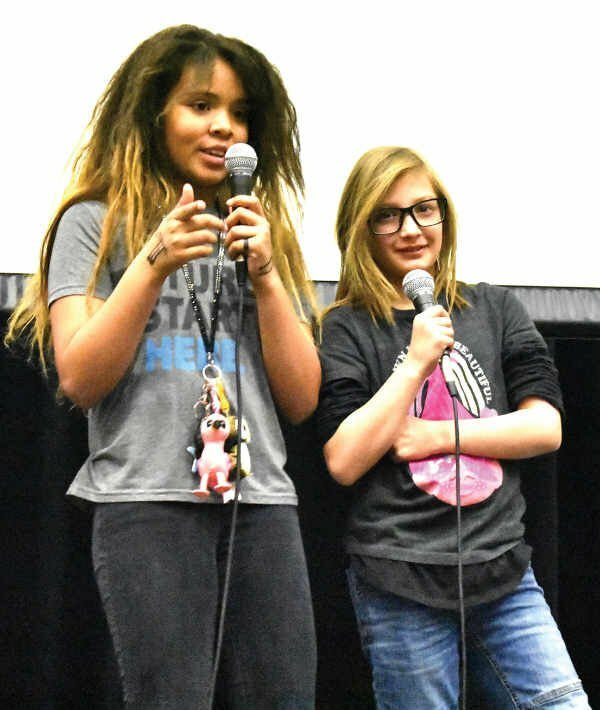 The pair were rehearsing Tuesday for the Salida Middle School talent show. The show will start at 5:30 p.m. Thursday at Salida High School auditorium.